Rusty Hearts is a new game from the Perfect World catalog and this time we’re given a free-to-play action MMORPG, where fast-paced combat is the main attraction. 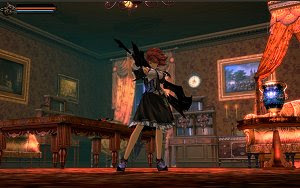 The unique cel-shaded anime graphics are one of the high points, but Rusty Hearts also offers a deep and satisfying MMO experience. Players begin by choosing one of three characters, each one using their own skills and combos, along with a particular storyline to follow. Adventure with your friends in this exciting beat’em up.